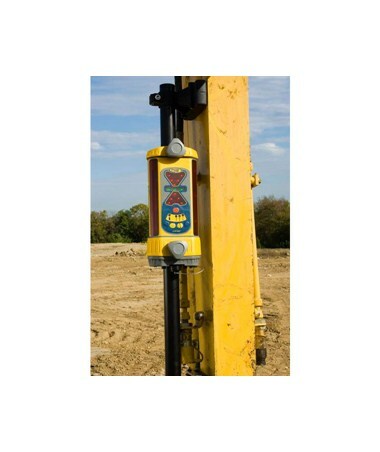 Designed as a stand-alone display receiver, the Spectra LR30 Laser Machine Control Receiver can be used on grading and excavating equipment including dozers, scrapers, skid steers and levelers. 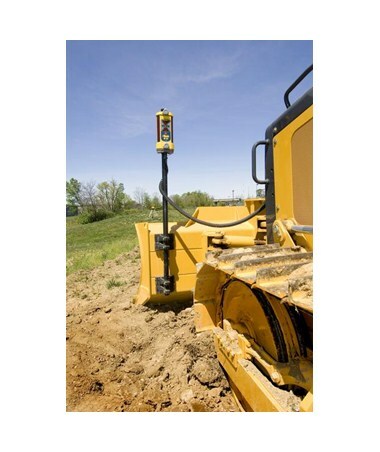 Featuring a 360-degree reception angle, this machine control receiver is easy to use and can work with all red-beam rotating lasers on all kinds of machinery. 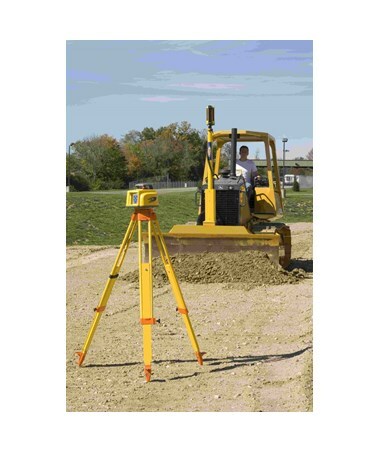 It boasts three detection accuracies, especially when doing grading work. 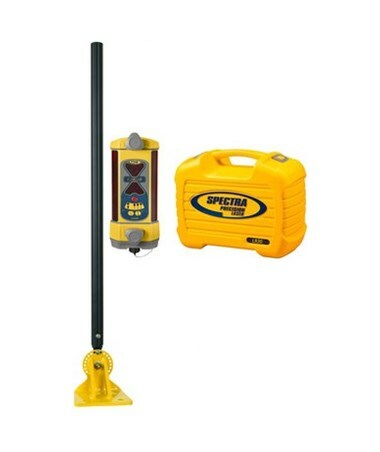 Plus, it includes five display channels of grade information with a directional and out-of-beam indicator. 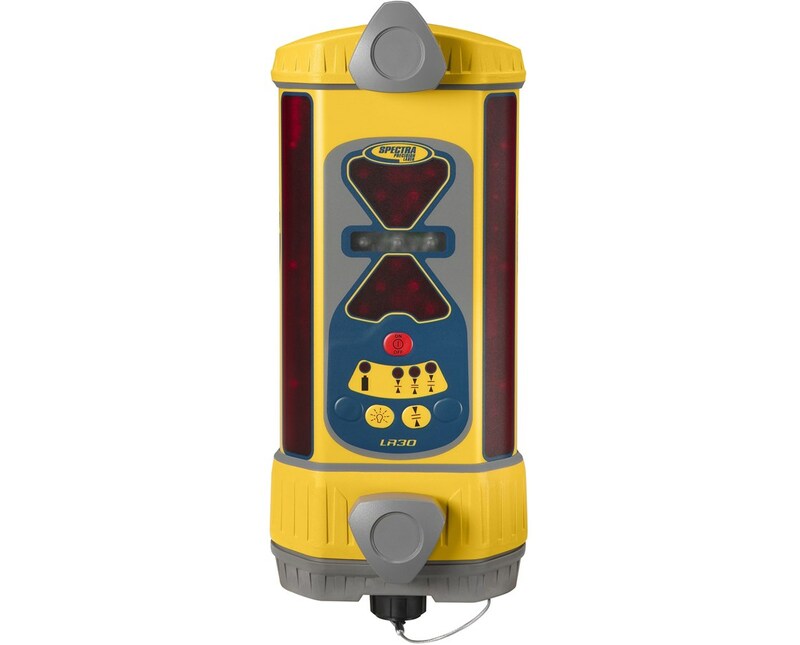 The LR30 has an adjustable, ultra-bright LED indicator with a green on-grade display that provides clear viewing to match ambient lighting conditions. Also, it comes with a 6.75-inch capture height. For an easy access to common functions, it includes a touch panel that features low battery warning function, dead band selection, and display brightness buttons. In addition, it offers a large front facing mounting knobs and an optional magnetic mount for an easier set-up. 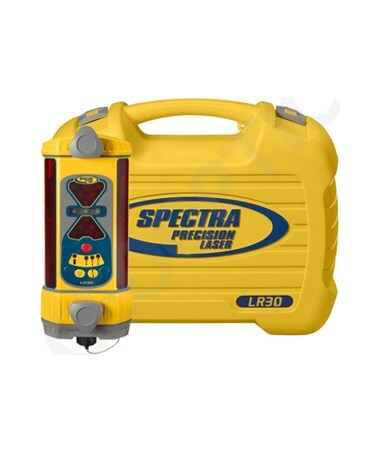 This Spectra machine control laser has two battery options that can operate up to 75 hours long with three to four hours of charging time. 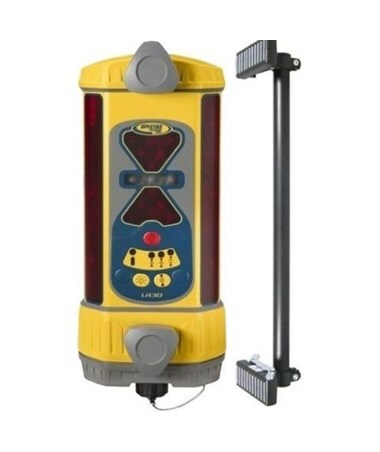 Rugged and water resistant, it is made of durable polycarbonate and aluminum die cast housing which can endure all weather and construction site conditions. 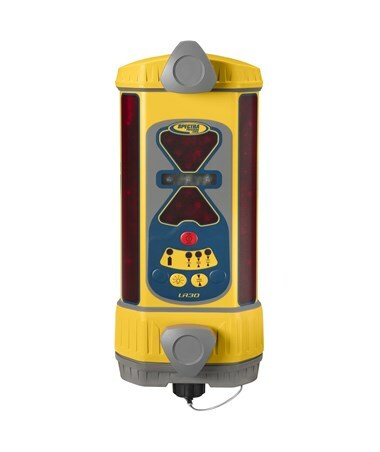 The Spectra LR30 Laser Machine Control Receiver offers eight packages with varying features and accessories, such as batteries, mounts, and an optional remote display. 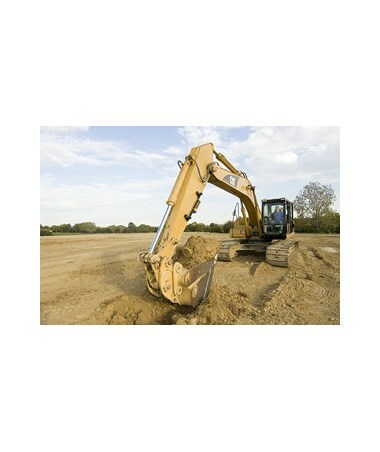 All are backed by a two-year manufacturer's warranty. Select your preference from the drop-down menu above.